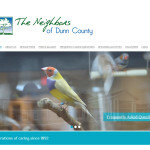 Implemented full-featured site based on Drupal with a template design by Irish Rose Consulting. 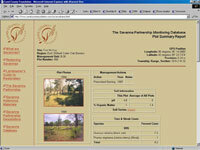 Features include searchable case-study database, online events calendar, and online donations and membership renewals. Implemented a WordPress web site based on design provided by Brightspark Consulting. Implemented a full conference web site in WordPress, including online registration form with e-commerce using PayPal. Implemented a complete informational web site for Vinehout’s gubernatorial campaign, then transitioned to State Senate site. Features include online donations, Facebook integration and complete article archive. Implemented a complete WordPress web site. 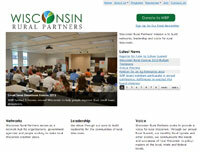 A custom template was designed to match existing Dunn County web sites. The web site includes a live webcam displaying progress on construction of new facilities. Implemented a WordPress web site using a pre-designed template. Implemented a WordPress web site with a custom-designed template. Site includes secure online forms for customer service. Implemented a basic portfolio web site. Air Traffic Awareness Display Irish Rose participated in a research and development project to provide air-traffic awareness displays to pilots of general aviation aircraft. Irish Rose Consulting worked with a Wisconsin-based non-profit foundation to create a web site for sharing environmental data. The DataVUE Data Explorer allows public works officials to quickly view the condition of their roadways. The Dispatch Management System automates the scheduling and management of freight movement for a trucking company. Irish Rose developed a system to automate payroll processing related to a company profit sharing program. Irish Rose developed a wide range of software for a fantasy sports contest provider, from a web site to customer management software to touch-tone phone interfaces to the contest.